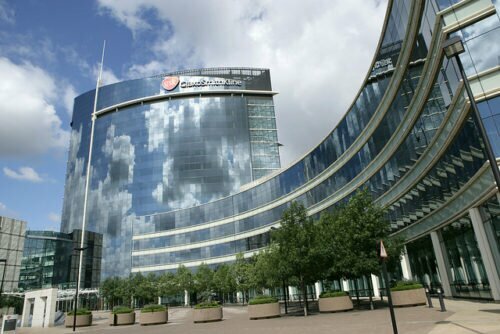 GSK acquisition of Tesaro : British pharma giant GlaxoSmithKline (GSK) has completed its previously announced $5.1 billion acquisition of Tesaro, an oncology-focused biopharma company based in Waltham, Massachusetts. The acquisition of Tesaro is expected to help GSK reinforce its pharmaceutical business and expand its pipeline and commercial capability in oncology. The two companies entered into the deal in December 2018 under which the US pharma company was offered $75 per share in cash. Commenting on the closing of GSK acquisition of Tesaro, Dr Hal Barron – Chief Scientific Officer and President of GSK R&D said: “Both GSK and TESARO are driven by a focus on patients and a deep desire to develop truly transformational medicines that can improve and extend their lives. GSK acquisition of Tesaro. Photo courtesy of GlaxoSmithKline plc. In early 2017, Tesaro secured the US FDA approval for Zejula (niraparib), an oral poly ADP ribose polymerase (PARP) inhibitor, for the treatment of recurrent ovarian cancer. The once-daily oral medicine is also approved in Europe as a treatment for adults with recurrent ovarian cancer who respond to platinum-based chemotherapy, irrespective of BRCA mutation or biomarker status. Tesaro is currently engaged in clinical trials to assess Zejula in all-comers patient population, as a monotherapy, and as a combination drug for the first line maintenance treatment of ovarian cancer. Zejula is also being assessed for the treatment of lung, breast and prostate cancer. The other drug candidates in Tesaro’s portfolio include an anti-PD-1 antibody dostarlimab and several oncology products that are directed against PD-1, TIM-3, and LAG-3 targets. Dr Mary Lynne Hedley – President and Chief Operating Officer of TESARO, Commenting on the closing of GSK acquisition of Tesaro, said: “This new partnership between TESARO and GSK marks an important milestone in advancing our mission of developing transformative therapies for individuals living with cancer. For more pharma acquisition news like GSK acquisition of Tesaro, keep following PharmaNewsDaily.com.